Father’s Day is around the corner. Here are some great last minute ideas for Father’s Day gifts, all under $100! The Original Koostik is a passive solid wood acoustic amplifier for iPhone, combining two hemispherical sound amplification chambers with carefully designed sound channels, it achieves natural energy free amplification of between 10 and 20 decibels. This means an increase of 2 to 4 times the volume! Due to it’s unique design, the Original does not allow for the connection of your charger while in use with your iPhone. It is a totally “unplugged” amplifier! 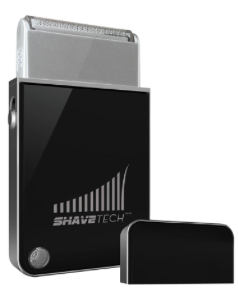 The way the on-the-go dad thinks about shaving will forever change for the better with ShaveTech, with its sleek, lightweight design that gives users a convenient USB charging option that will save them not only space but also the aggravation of finding a free electrical outlet. Get down to barbecue business with this portable grill that fits within the confines of a sleek stainless steel briefcase. 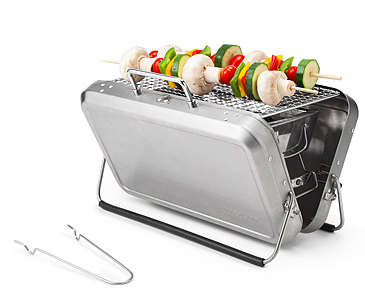 Perfect for kabob enthusiasts on the go, this versatile design opens up to reveal a grill and charcoal pit, perfect for an al fresco meal for two. Just prop out the two adjustable legs, grill to your heart’s content, wait for the piece to cool, and then take your grill wherever the smoky barbecue sauce takes you.